Coins will be dates/mintmarks of our choice. 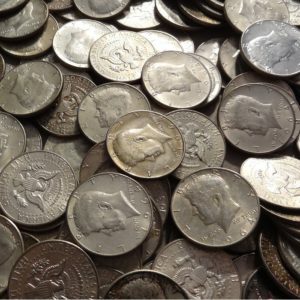 VG Morgan Silver Dollars have been a favorite among collectors and investors for well over 100 years. Designed by young British engraver George T. Morgan, the obverse features a left-facing portrait of Miss Liberty, modeled after Philadelphia school teacher Anna Willess Williams, with Liberty emblazoned across her crown, the words E PLURIBUS UNUM across the top of the coin, the date at the bottom. The obverse also features 13 stars and Morgans initial M at the truncation of the neck. 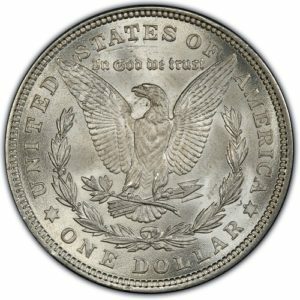 The reverse of Morgan Silver Dollars depicts an eagle clasping arrows and an olive branch, with the words UNITED STATES OF AMERICA – ONE DOLLAR around the rim and the words In God We Trust above the eagle’s head. Morgan’s initial M also appears on the reverse, on the ribbon’s left loop. Mintmarks are found below the wreath on the reverse. 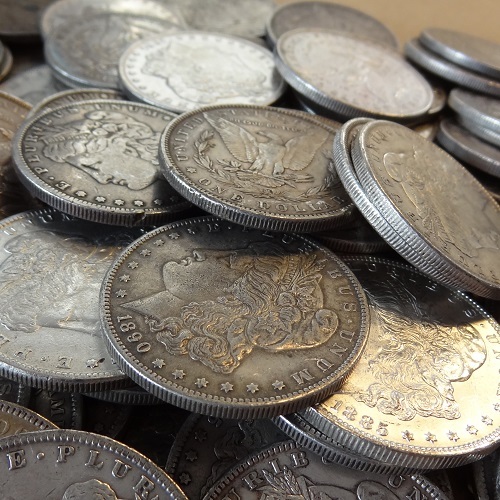 In 1904, demand for silver dollars was low, the bullion supply was exhausted and production of the Morgan ceased. 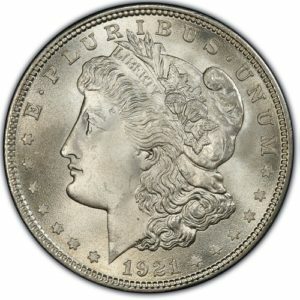 Beginning in 1918, over 270 MILLION silver dollars were melted and, in 1921, a slightly modified Morgan was minted (86 million of them!) 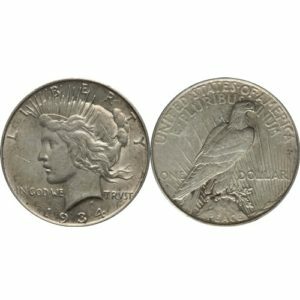 until the design was replaced later that year by the Peace Dollar. VG Morgan Silver Dollars are a great way to collect nice looking one hundred + years old U.S. 90% silver dollars.